It’s that time of year again. We’re in mid-September which is about a month out from the start of the NBA season. We’re dusting off the cobwebs from rumors, trades, and watching Instagram videos of high schoolers pulling crossovers and superstars scrimmaging. 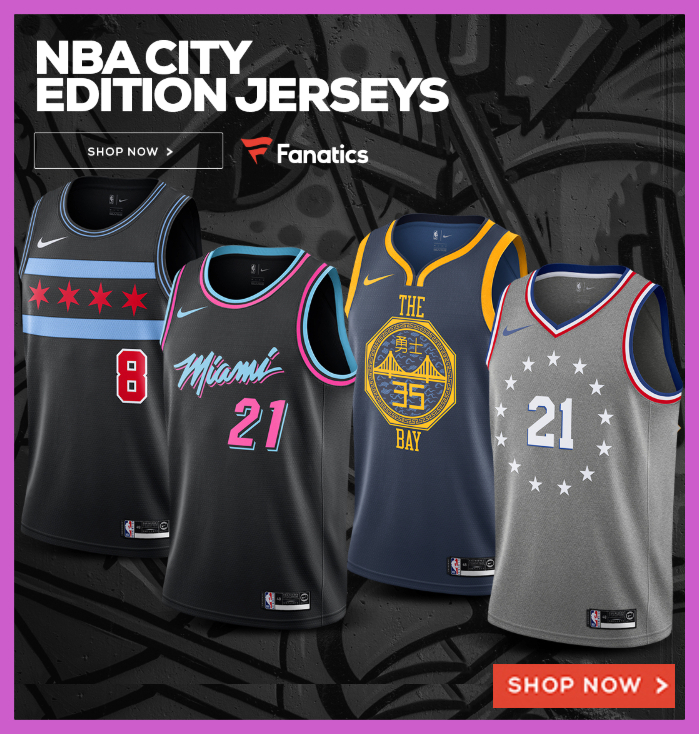 Now that we’re a few weeks out, it’s also the time when the big sports media sites start making predictions, making odds at making odds on sites like bettingtop10 USA as well as creating controversial lists of the best players of the upcoming season. Everyone loves lists, but no matter what list it is, one ever agrees on where and when their favorite players should appear on them. One of our most popular posts from the last year was when SLAM created their 100 best NBA players of all-time for that reason. 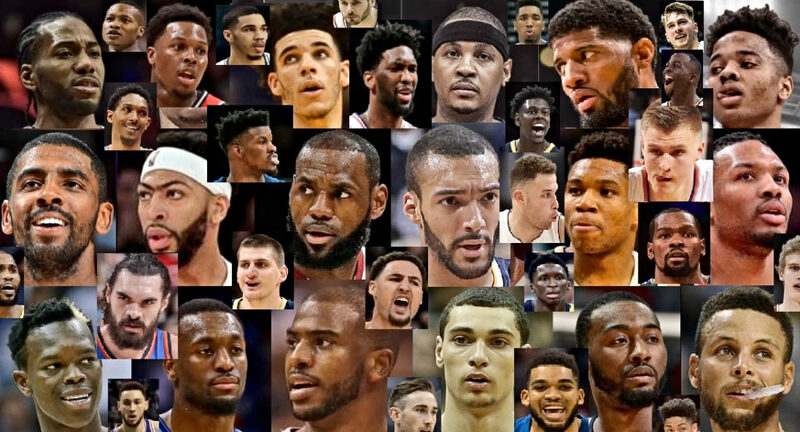 And though Sports Illustrated isn’t quite getting that deep into the annals, the global sports magazine published out their full list of their top 100 NBA players for the 2019 season. The problem with these lists is that they’re very rarely listed out… in a list. There you have it. Now let’s hear all your complaint as the list seems to be all over the place. Let’s first talk about whether Al Horford is better than Kyrie Irving and whether Kyle Lowry is better than John Wall — and is Horford better than all three of those players, much less a top 20 player in the NBA. Listen, I love Horford from a team standpoint, but he’s often referred to as a “no-stats star” for a reason. He’s not a player that’s carrying you — he’s a fantastic piece and even better role player, but #17? Not to take anything away from J.J. Redick, but is he really that much better than both Andrew Wiggins and DeMarcus Cousins? 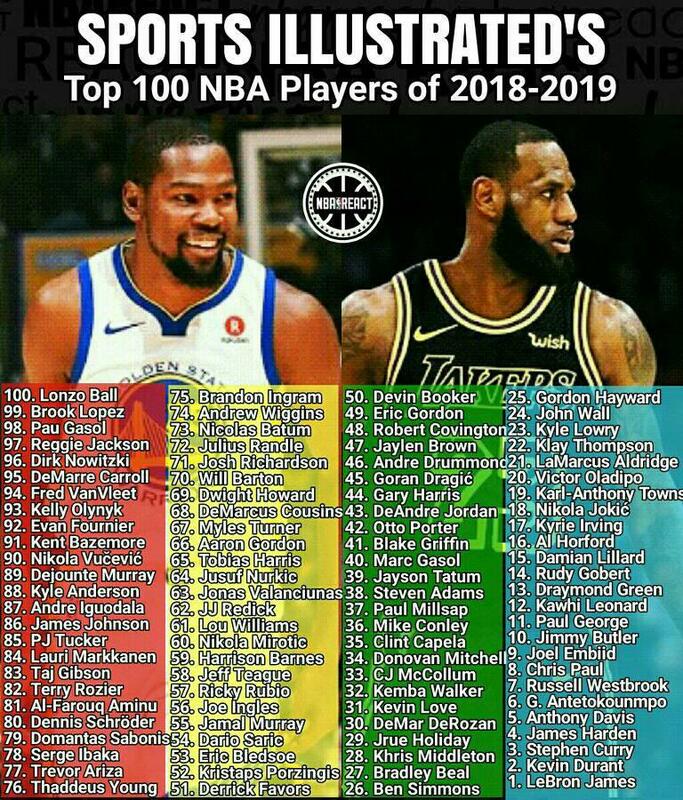 The answer might be based on effective they were last season, but then how is Gordon Hayward at #25? And that’s what these lists do, they take subjective factors and measures from a couple people (or panel) and applies them broadly. And with a list, a player has to come after another — pretty black and white even though #50 Devon Booker may be significantly better than #51 Derrick Favors, we don’t know by how much. Not to mention whether Favors is better than #52 Kristaps Porzinigis. That’s why lists are so great for news sites, they provoke, bring page views, and gets us talking and excited for the NBA season. I know it got me hype — did it get you excited for the 2019 NBA season?